There’s a huge demand for digital access to health information, and this trend is leading many people to look for an affordable health informatics master’s degree. The biggest factor affecting the cost of a master’s degree is the school a student enrolls in, and brick-and-mortar schools typically charge about 20 percent less than for-profit online schools. It may not be the most convenient way to attend classes, but graduate students looking for an affordable master’s degree should definitely apply to traditional colleges rather than online schools. Another advantage of going to school in person is that it gives students the opportunity to pay for some of their tuition through graduate research and teaching assistantships. These positions are highly sought-after, so students with excellent transcripts are chosen first. Because the health informatics field is exploding, many companies will pay for their employees to earn master’s degrees in return for a contract to keep working for the company for a certain amount of time. Under this arrangement, students are probably more likely to be able to attend classes online to accommodate their work schedules. It’s not always necessary to have an educational background in healthcare or computer science to enroll in a health informatics master’s program, but students with bachelor’s degrees in computer or health-related subjects can usually skip the remedial catch-up courses, allowing them to save hundreds or even thousands of dollars in tuition. Another cost-saving idea is to look for one-year programs that are sometimes offered in various parts of the country or abroad. College education is a competitive field, and universities often compete with each other to attract students to their programs, especially for subjects as in-demand as health informatics. If there aren’t any one-year programs nearby, the best choice is to enroll in a two-year program at a public brick-and-mortar college. The tuition will have to be paid one way or another, and students can decrease their debt burdens by applying for scholarships and grants. 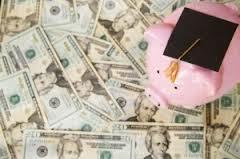 These funds are usually merit-based and awarded to students with excellent grades, so anyone considering graduate school should be as focused as possible as an undergraduate. The debt burden can be further reduced by attending classes part-time, and this strategy gives students more free time to earn money for tuition and books. Graduate-level courses are more challenging than undergraduate courses, and students can be put on probation for having a GPA below 3.0. Taking classes slowly not only makes a master’s degree more affordable, but it reduces the stress of graduate-level courses. Most schools consider a health informatics master’s degree to be terminal, which means there is no higher qualification to be obtained in this field, such as a PhD or professional degree. Students aren’t judged negatively for getting grades below a B, but too many low grades can lead to academic probation or repeating classes. Obviously, it’s more expensive to take classes more than once, and academic probation will certainly disqualify students from scholarships and teaching assistantships. In general, taking on a reasonable work load is a good strategy for spending as little as possible on a master’s degree. The healthcare sector is booming, and computer science is a major driving force for this job growth. If you’re interested in healthcare and information technology, an affordable health informatics master’s degree will expand your opportunities.